Jay's booths offer sturdy wood construction built with the quality you expect from all Jay's Furniture Products. This restaurant seating furniture is available in your choice of laminated or foam padded seats; Perfect for diners, restaurants, cafes and cafeterias. Also available is an assortment of standard designs, or let us custom design booths and banquettes for your company. All booths and banquettes can be finished in vinyl, fabric, or leather. 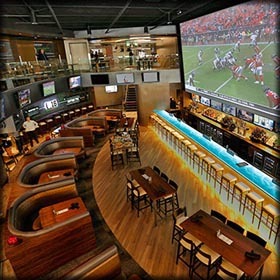 This type of raised seating is a great asset to any type of restaurant atmosphere including, sports bars and night clubs, allowing your customers high viewing of TV's, monitors etc. Pick any style from our complete commercial booth or banquette line or create your own design. We can turn it into a bar or counter height seating unit, upholstered in any type of fabric, vinyl or leather of your choice whether we supply the covering or it's supplied by the customer. Our waiting room and lobby seating page will show some of the lounge seating units we have built for waiting rooms and lobby areas. 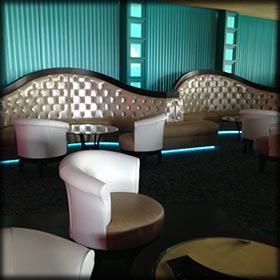 We also show custom designs for lounge seating in hotels, casinos, medical buildings and office buildings. 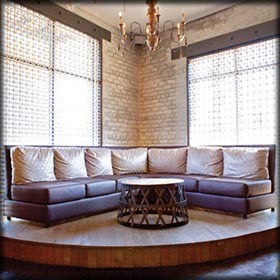 These lounge seating units can run along walls or be placed in the center of a room. You can mix features you like in multiple seating units, to make one of a kind lounge seating that fits your needs. In this section are examples of custom banquettes which we've manufactured for companies. Hopefully the photos will give a designer or company owner design ideas. We can build furniture to what you see in each picture to your size and shape. We can also combine any features that you see to make a one of a kind design just for your company. If you have a style or design in mind, send it to us and we will be happy do get you a business quote. Our photo gallery has a large selection of standard dining or bar height booths, designer banquettes, pouffes, benches, stools, restaurant tables, and table tops for your company to choose from. We design seating layouts that not only look great but are functional too. We sell to companies throughout America & Canada with a marketing focus on Northeastern USA States like CT, DE, IL, IN, MA, MD, ME, MI, NH, NJ, NY, OH, PA, RI, VA, VT, WV, & Eastern Canada. in making custom booths, banquettes, table tops, wall dividers. 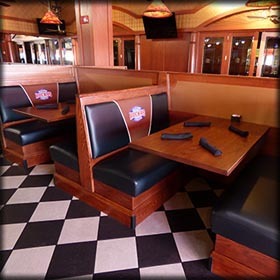 We're a Buffalo, NY furniture manufacturer of custom restaurant booths / modern banquettes, pouffes, stools, table tops, and divider walls for restaurants, casinos, hotels, and offices. 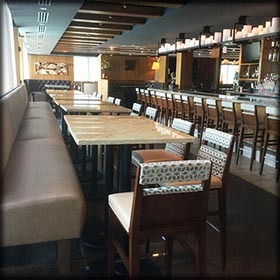 Year after year we are one of top American seating manufacturers of standard and custom commercial furniture for any restaurant / cafe, nightclub, casino, office, medical facility, hotel and more. 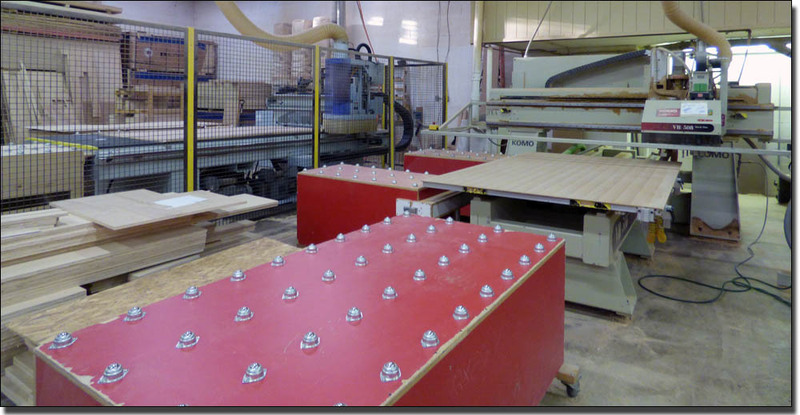 Our modern furniture factory is equipped with the latest state-of-the-art CNC equipment and technology which assists us in building professional commercial seating furniture. Assisting architects and interior designers in refining seating ideas, including specifications and budget quotes, is another one of our services we offer to the commercial designer industry. 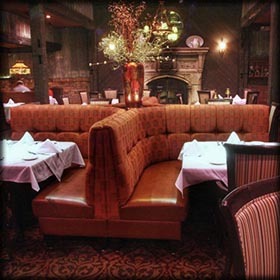 Let us custom build the best booth, banquette, or lounge furniture for your project! Furniture Manufacturers Credit Association Inc.